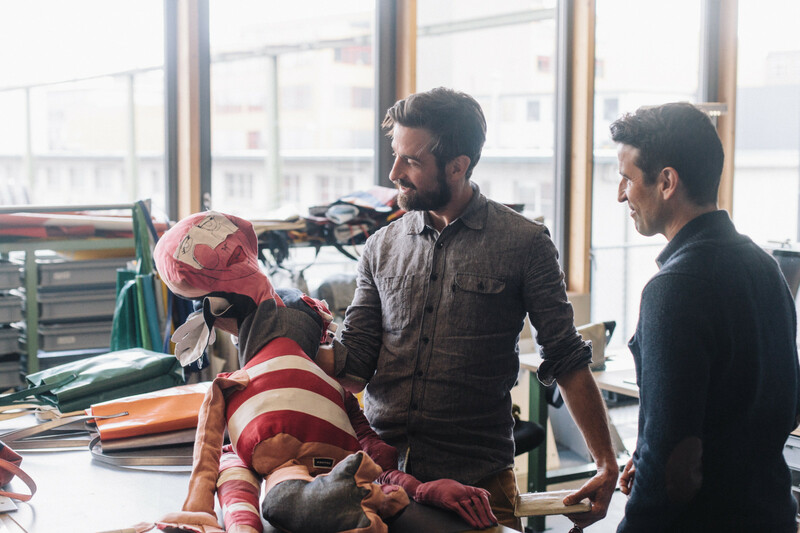 Of course we met Daniel and Markus Freitag in their workspace on a Friday. (Their last name in English means that beloved day of the week.) 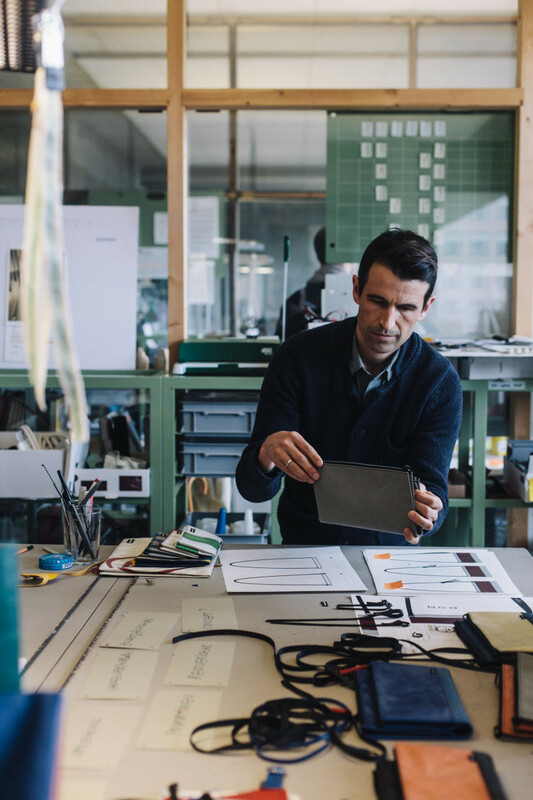 The brothers are known in Switzerland and beyond for FREITAG, their eponymous line of bags. Made from used truck tarpaulins, car seat belts and bicycle inner tubes, they develop luggage and accessories for people on the go. 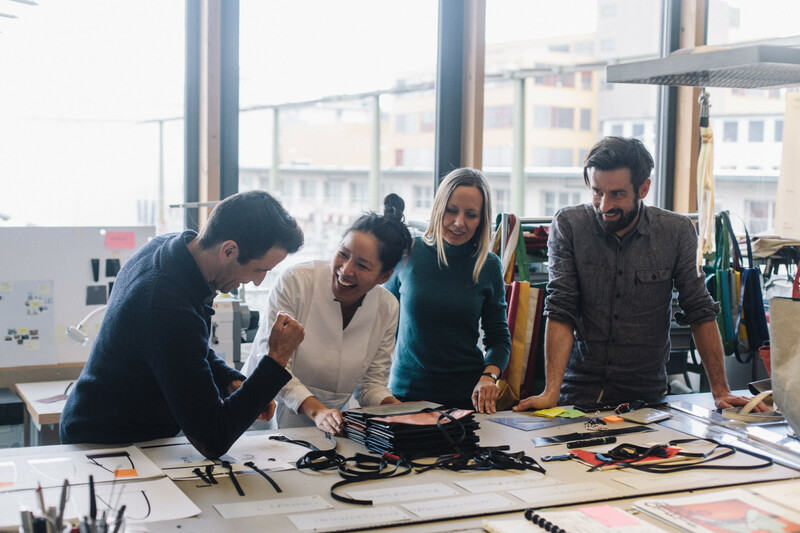 On the northern outskirts of Zurich the two tinker on the implementation of new ideas in the Freitag Lab – like, for example, the first line of textiles, F-abric, which has been five years in the making. The result: a small collection of European produced, fully compostable clothing. The Freitag brother’s corner studio is on the third floor of the large factory hall where the outstretched tarpaulins for the bags are manually disassembled. A good 350 tons of tarps are delivered every year for use –likewise, every year about 350,000 of their products, all unique pieces, are made. In the factory hall the internal radio station, Radio F, is playing: Whoever wants can play DJ and determine the music played throughout. Freitag works in cycles, the leitmotif from Markus and Daniel Freitag. They founded the company in 1993, long before sustainability was a topic. At the time, there was no fee for producing waste, let alone the word “upcycling.” Recycling was always an issue with their parents, more precisely – gardening. “Compost simply produces better zucchini,” remembers Daniel. 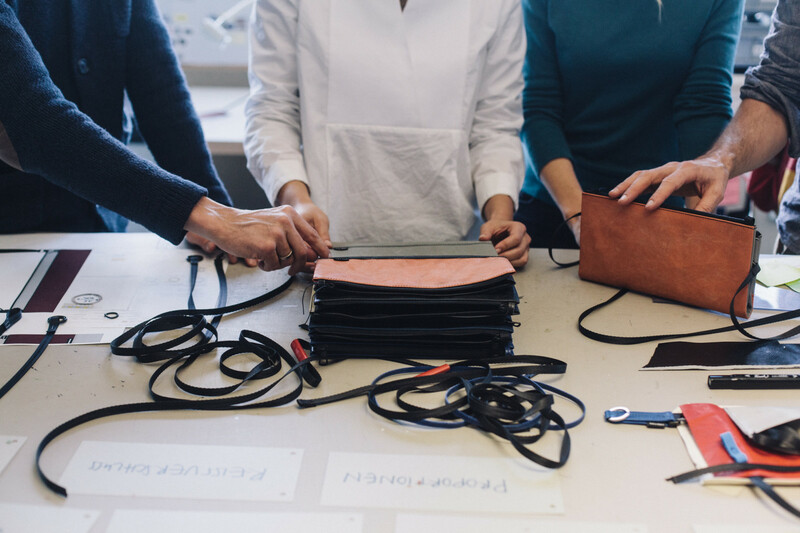 Twenty-two years after their conception, Freitag has about 150 employees, sells two lines with over 50 different products and operates ten of their own stores in Switzerland, Germany, Vienna and Tokyo. Switzerland is proud of the many design prizes won by Freitag. It stands for typically Helvetian features such as environmental awareness, and a reduction in form and functionality. In the meantime, Markus and Daniel Freitag’s designs have counted among the most important contemporary contributions to the history of Swiss design. As children did you think that you would later have a career as a duo? Daniel: Not exactly, but there were already some indications during our childhood. (laughs) During the school year, afternoons were funnier if we spent them together. You can just do more with four hands – for example, build a better raft. During our apprenticeships, each went his own way. (Daniel as a graphic designer, Markus as a decorative designer.) At age 20 we came back together with the idea of bags. Of course we clash sometimes, but positivity dominates our collaboration. 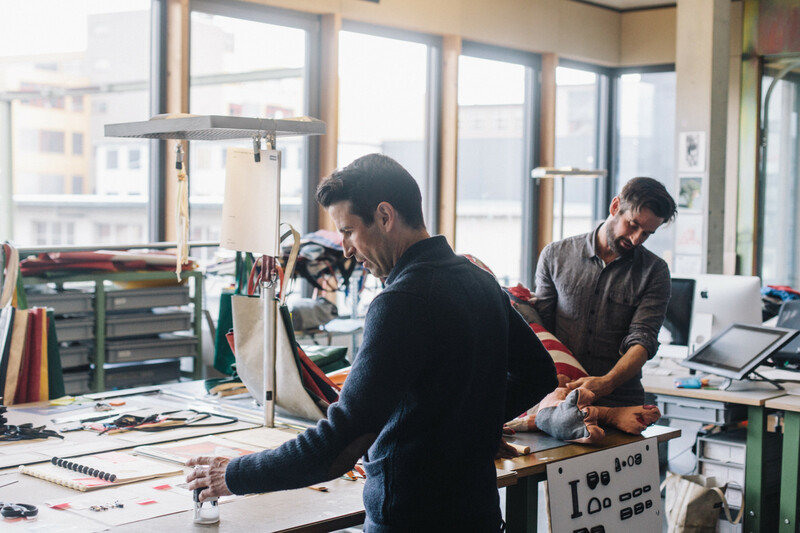 Do you see Freitag as a family business? Markus: Yes, even though we’re not a company that has grown over generations, our mindset is similar to that of a family business. Decisions are made here, in-house, and everyone sees each other at lunch in the canteen, at the latest. In the very beginning even our mother was helping to hire the first employees. Daniel: In the last 20 years we’ve tried pretty much everything. It takes a lot of time to figure things out if we strictly separate our duties from one another. We tick differently, but it’s valuable to combine our perspectives. We haven’t found a permanent rule in terms of distributing the tasks. You were involved in the construction of the building the company is located in. What was especially important to you? Markus: What we really wanted was for our rainwater tank (Freitag tarpaulins are washed with collected rainwater.) to be available as a swimming pool on the factory floor. Unfortunately, this idea didn’t work out. Other than that, we were able to implement a lot of ideas, especially the high flexibility in the interior design and the permeability between production and administration. It’s our approach that these two areas can’t operate if they’re fully separated from each other. The five plan buyers should be able to look at the area where we do the disassembly and sales people should be able to see the high-shelved storage area where our products are. Does the workspace influence your creativity? Markus: The room definitely has an influence on the creative process. It should be modular and ensure a certain degree of mobility. It should never feel like a corset. Small meeting rooms with bad air quality, where you stand around, just don’t work. Ideas need space. This space has to be created so that you can fill it creatively. Daniel: For our creative work we are constantly developing our own solutions, such as our hanging charts. Then the visualization of ideas can be easily carried through the building. We also take over completely different jobs next to our roles as Creative Directors. 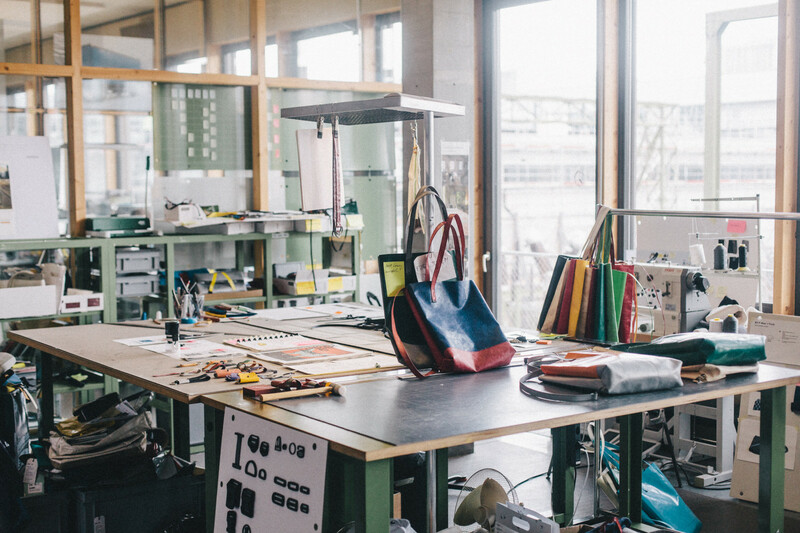 Freitag doesn’t just develop bags, but also manufactures, markets, distributes and sells them. As designers we don’t just think about the products, rather we have the entire process in mind from the beginning. 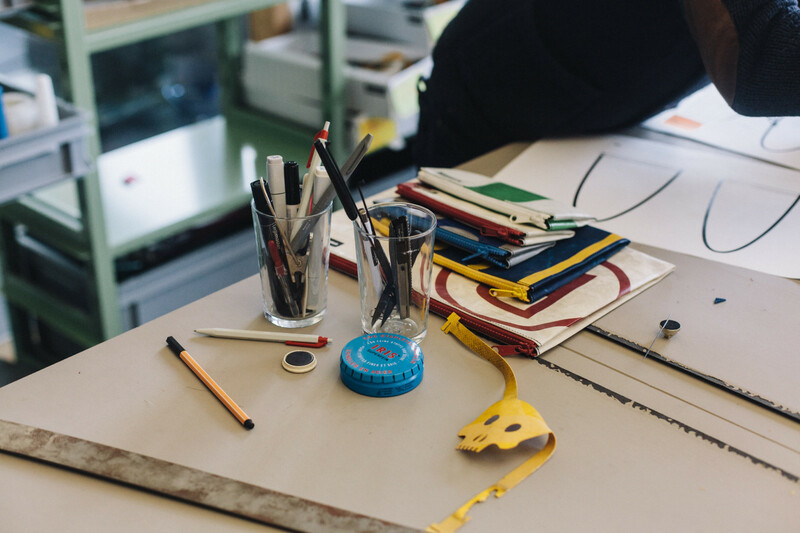 We want the Freitag signature to be recognizable at each step in the process. What do you think makes good design? Markus: I like the graphic design of industrial catalogs so much. Basically, I’m interested in the drafts of craftsmen more than the so-called author design. For example, if a carpenter makes a cool table and becomes a furniture company because of it, well, this speaks to my holistic approach more than Philippe Starck coming out with his umpteenth hit. Daniel: I also like it when a design brand harkens back to craft. Personally, I’m inspired by contemporary as well as historic designs. 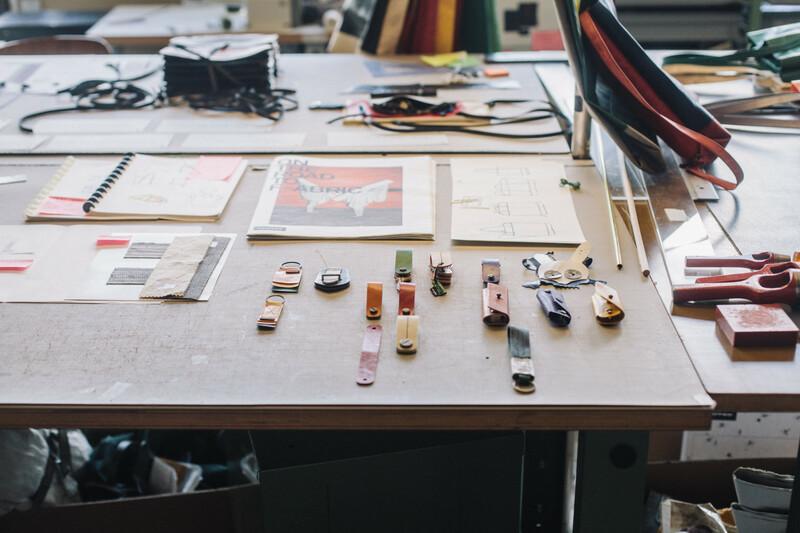 At Freitag, we’re not classic design service providers who need to speak a distinct language. We have the privilege to be able to think freely – always under the condition that it is done in cycles. Markus transported the first truck tarpaulin from a freight company in a bike trailer directly to his shared apartment in Zurich’s industrial quarter. In his apartment on the fifth floor they laid out the tarp and cut it with carpet scissors, it was more bad than good. The thick material of the tarp ruined two sewing machines, until they used the professional machine of an upholsterer to make the first bag, inspired by the messenger bags of bicycle couriers. Today, that pioneer model is in Zurich’s Museum for Design and can only be handled with white gloves. The same model is in the permanent collection of the MoMA in New York. The first were carried in Japan in 1997, where the Freitag bags are very popular. Two years later, they opened their first shop in Davos, the renowned winter sports destination, which, thanks to the number of tourists, increased global attention for the label. Rapid internationalization brought new challenges: In the early days they knew all of the Freitag carriers personally, they were friends, or friends of friends. Today, however, their parents carry a Freitag as naturally as a 20-year-old student in Tokyo. “Young people buy products that weren’t even created in 1993. On the other hand, you can grow old with the bag,” which makes the two brothers happy. What goes through your head when you see your products on the street? Markus: It always makes me happy when the functionality of the bags is really put to use. Just this morning I saw a young woman with the backpack model F151 Victor: it was filled with fresh orange juice that she was distributing. Daniel: I think that even after 20 years it’s still exciting to see which bag a person decides on, and above all, which design. Every bag is unique and we think that people very knowingly buy our bags. That’s also a reason why foreigners supposedly talk about our products. A Japanese woman, whose daughter met her future husband over a bag, sent us a replica of a Freitag bag made from Kimono fabric. Freitag doesn’t do ads as advertising and doesn’t create “loud communication.” How do you feel about collaborations with other labels or special editions? Markus: In general we like it. But more concretely, it can be difficult, especially because we produce unique pieces. So we have to photograph every single piece for our web store and can’t simply use a sample. This takes a huge amount of effort, which many partners aren’t aware of. Daniel: We also don’t want Freitag products to end up in sales. That’s why we take any items not sold by retailers back. We strictly adhere to a practice of cyclical thinking. This is in contrast to the seasonal trend attitude of the fashion industry, where everything completely changes every season. Whoever collaborates with Freitag isn’t simply dealing with a product range, rather with a sophisticated circulatory system. As creative directors, you are employees of your own firm. How did you “design” the interaction with employees? Markus: We realized that departments were hanging on to statements made by us, statements that we couldn’t even remember anymore. This is the kind of thing you find out in direct conversation. As much as possible we try to maintain personal contact. This is best done over lunches together with new employees or those that are celebrating their 10 or 15 year anniversary of working with us. Unfortunately, we frequently don’t have the time to go to the various departments every day. And in case we can’t have lunch in the canteen because we’re too busy, we’ve put our own salt shakers in the atelier. Daniel: With about 150 employees, we’re not a huge company and yet, from the finance department to the disassembly room, we have the most diverse people. It’s important to me that we exemplify our identification with the brand Freitag and the desire to improve ourselves. Finally, we want to sense this enthusiasm in the employees. 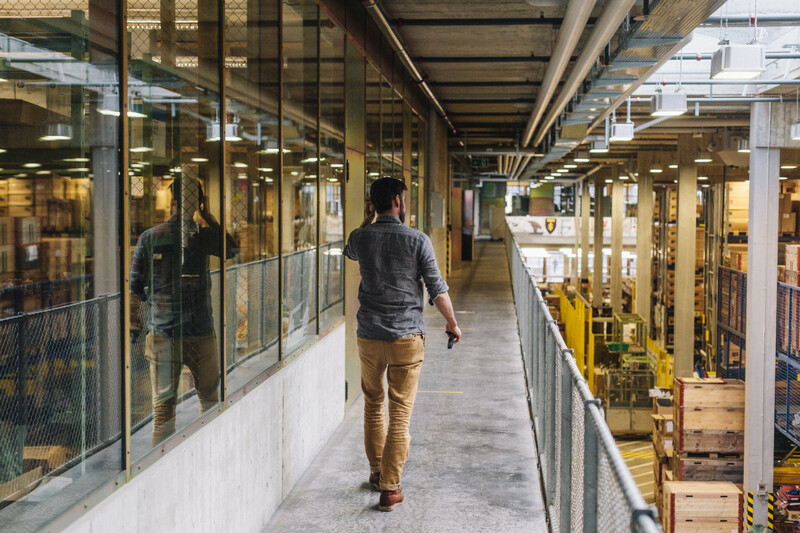 How are you experiencing the mega-trend of sustainability? Markus: The situation is similar to the debate around sustainable design. We think that considerations of the sustainability of a product must be a mandatory part of the design process. It’s not a positioning feature, but a necessity. Otherwise, a product doesn’t deserve the design designation. In the best case, one doesn’t see something as 100% sustainable anyways. Would the Freitag brand exist without you? 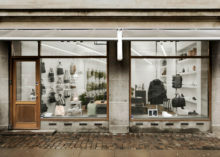 The common thread in their design language was a given though the self-imposed restriction on recycled materials – in commercial terms it’s not always an easy decision. With the F-abric chapter they are breaking new ground in which they want to remain “faithful to the history of Freitag.” A recurring element in this history is always the bicycle. Not only are Daniel and Markus themselves known for their love of the foldable bicycle – also on the factory floor, in between rolled up plans and yellow sorting grids, is the bike check, where employees can hang up their bikes, so that the seat stays dry and warm until it’s time to head home. The bike has a important symbolic value for the Freitags. It symbolizes the most incredible way to experience something, and, perhaps consequently, the Freitag products should be as bicycle friendly as possible. The brothers love of travel, naturally by bike, remains as strong as ever, and they are happily inspired by their trips. “You only need a bag when you’re traveling,” says Daniel. With this, everything comes to the point of how important it is that they are always in motion. Last, but not least, to hand test their new prototypes. Thank you Daniel and Mark for welcoming us to the Freitag building Noerd and explaining your concept and influences. Find more about their company, FREITAG. Our FvF Workplaces section is dedicated to the work spaces and studios of creatives around the world. Meet more inspiring individuals in Zurich through our archive of interviews.